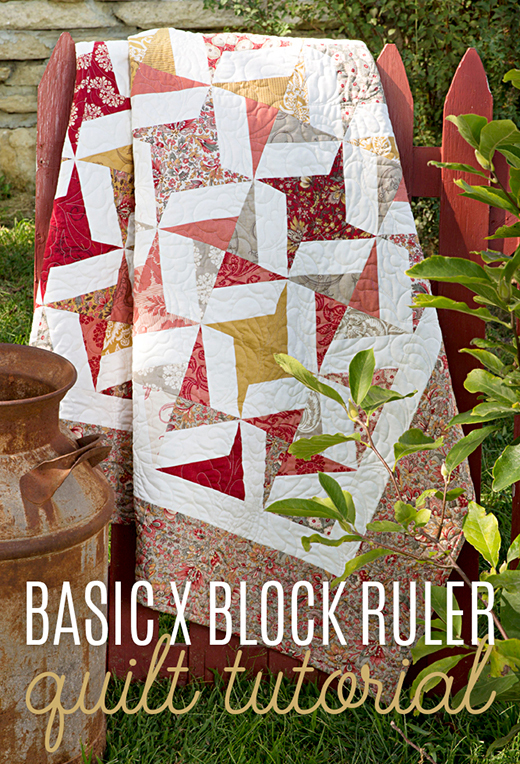 The Basic X Block Ruler Quilt designed by Jenny of Missouri Quilt Co, The Tutorial is available for free. Jenny Doan demonstrates how to make an easy Basix X-Block Ruler Quilt using the X-Blocks BasiX Ruler and 2.5 inch strips of precut fabric (jelly rolls). We used Madame Rouge A Bonheur des Dames Jelly Roll by French General for Moda Fabrics strip sets and solid yardage.